The employee is customarily and regularly exercised discretion and independent judgment in the performance of duties set forth above. The employee earns a monthly salary equivalent to no less than two times the state minimum wage for full-time employment. Full-time employment means 40 hours per week as defined in Labor Code Section 515(c). 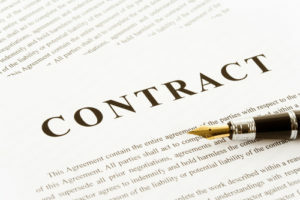 Regarding the requirement for the exemption to apply that the employee “customarily and regularly exercises discretion and independent judgment,” this phrase means the comparison and evaluation of possible courses of conduct and acting or making a decision after the various possibilities have been considered. The employee must have the authority or power to make an independent choice, free from immediate direction or supervision and with respect to matters of significance. For the learned professions, an advanced academic degree (above the bachelor level) is a standard prerequisite. For the artistic professions, work in a “recognized field of artistic endeavor” includes such fields as music, writing, the theater, and the plastic and graphic arts.